Pool days. Playdates at the park. Picnics with friends. Summer includes all these. What if it also included a way to serve our neighbors? 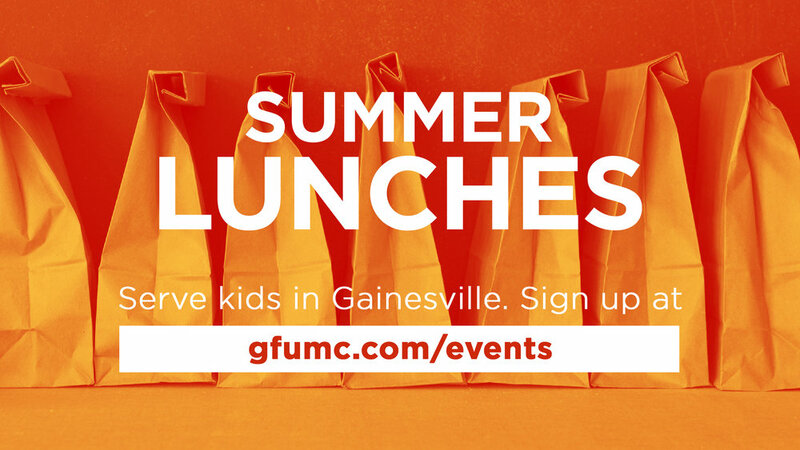 Each Summer, volunteers from Gainesville First United Methodist Church prepare and deliver lunches to children in the Baker and Glover community. We need your help! The Summer Lunch Program is a simple outreach opportunity that your family, small group, or neighborhood group could do together. Register below!